To expedite the accessibility of federal student aid, which includes federal grants, loans, and work-study opportunities, new regulations require students and parents to use their 2017 tax returns for the 2019-2020 academic year. If you previously received a Tuition Aid Grant (TAG) you will need to complete your FAFSA by April 15, 2019 in order to be considered for the grant in the next academic year (2019-2020). 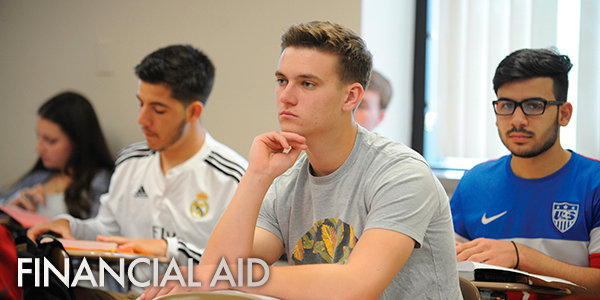 For more information on state grants, please visit the website for the State of New Jersey Higher Education Student Assistance Authority (HESAA) at www.hesaa.org. Certain funds are available on a limited basis; therefore, it is in your best interest to apply as early as possible. Federal Pell Grant - The Higher Education Act of 1972 established this grant program to provide aid to financially needy students attending college. Students must meet eligibility requirements and must be pursuing a degree program or eligible certificate program. Students attending more than one institution in an award year may only receive a Pell grant at one school. The maximum federal Pell grant for the 2019-2020 academic year is $6,195 depending on your financial need. This grant may be adjusted based on changes in the number of credits that you register for in a term. * With a first disbursement date after July 1, 2018. ** Interest rates are subject to change after July 1, 2019.